Qiagen will incorporate Sentieon’s software for calling variants into its bioinformatics portfolio, the companies said today, through a partnership whose value was not disclosed. Later this year, Qiagen plans to begin offering customers Sentieon DNAseq and Sentieon TNseq for germline and somatic variant calling. Those products will be integrated into Qiagen’s CLC Genomics Workbench, designed for researchers seeking to analyze and visualize next generation sequencing data; as well as Qiagen Clinical Insight, designed for molecular pathology labs seeking to report the clinical relevance of somatic variants, the associated treatment options, and clinical trials available to oncologists. According to Sentieon, DNAseq and TNseq are more than 10 times faster than the BWA-GATK pipeline on the same generic-CPU based hardware since they incorporate efficient computing algorithms and enterprise-strength software implementation. Sentieon DNAseq implements the same mathematics used in the Broad Institute's BWA-GATK HaplotypeCaller 3.x Best Practice Workflow pipeline, but without downsampling, which according to Sentieon gives users state-of-the-art accuracy benchmarked to GATK (Genome Analysis Toolkit) results. DNAseq also saves time and effort by enabling efficient joint calling on 100,000-plus samples simultaneously, the company said. Sentieon TNseq is designed to enables consistent, confident somatic variant detection from tumor-normal pairs with modes that can match either the Broad Institute's industry-standard MuTect (calling SNV in somatic variants) or MuTect2 (calling both SNVs and INDELs). As with Sentieon DNAseq's matching of BWA-GATK, TNseq software has identical computation to MuTect/MuTect2 but more efficient computing algorithms and no downsampling. TNseq also enables high-coverage applications such as liquid biopsies, processing regions with coverage depths of more than 100,000. 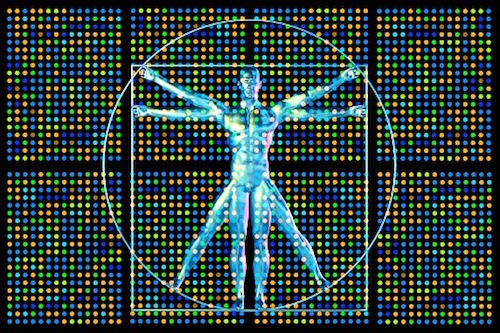 Qiagen said it also plans to integrate the tools into its solutions for large-scale population genomics. Sentieon's DNAseq and TNseq products are already incorporated into Qiagen’s OmicSoft Array Server solution, designed for multi-omic data analysis and management. Qiagen and Sentieon said their partnership offers users advantages that include lower costs, quicker turnaround, and powerful computing resources. The companies cited one recent project where nearly 12,000 whole exome and whole genome sequencing samples were processed from The Cancer Genome Atlas (TCGA) for inclusion in OmicSoft's OncoLand collection of cancer datasets.